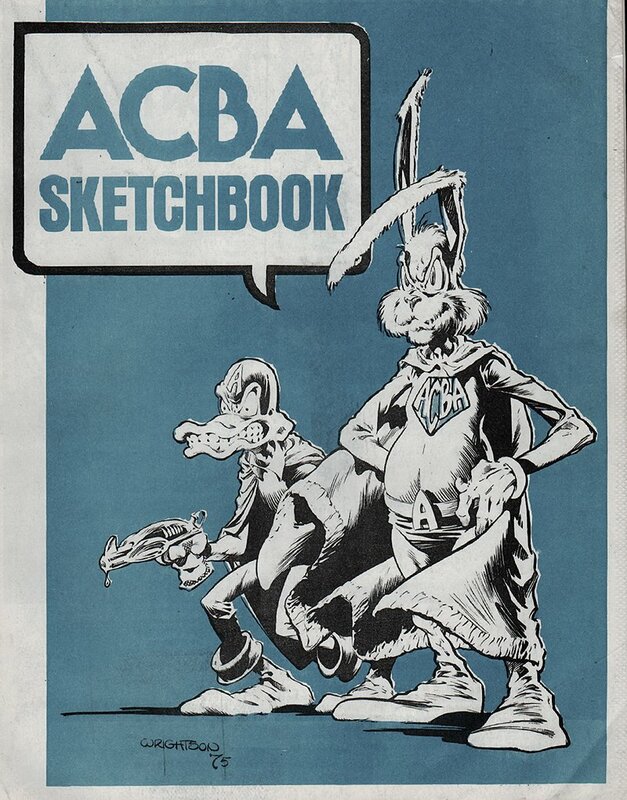 Click Here To See American Comic Book Academy (ACBA) Sketchbook! Check out this stunning Bernie Wrightson Cover to The ACBA #1 (1975) ACBA is the "American Comic Book Academy", an organization for professional comic book artists. A beautiful work by Wrightson here, at the height of his considerable powers in 1975. Beautifully laid thick ink, expressive, humorous and without flaws! 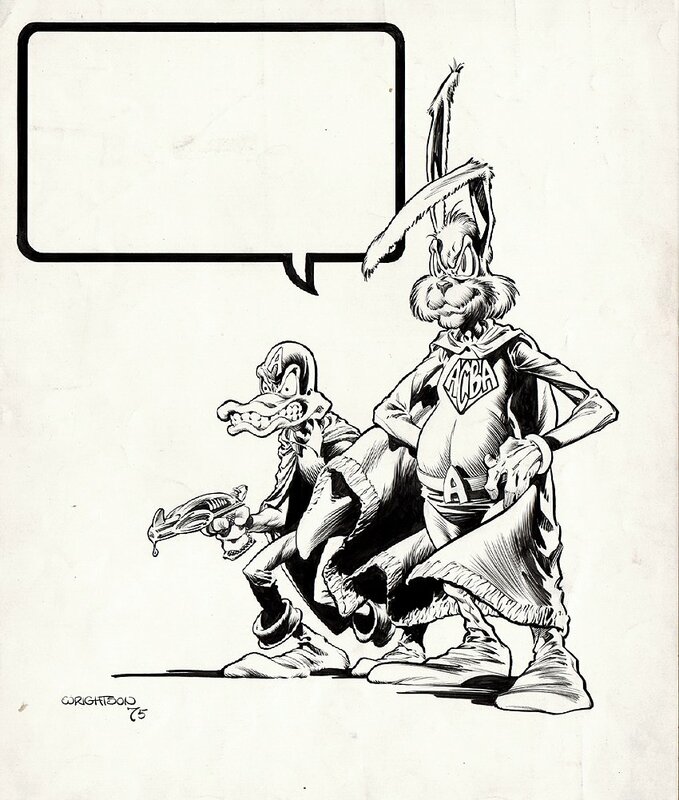 A charming portrait of what looks to be EVIL costumed versions of Bugs Bunny and Daffy Duck, with a typically wry Wrightson twist. If one can assign such title as "dean of horror" illustrator, Bernie Wrightson certainly is it. Vintage Wrightson works now routinely sell for $50,000 and up. Here is an opportunity to acquire a desirable published piece for substantially less. Art is drawn on 14 by 17 inch art board! The actual ACBA book wrap which can be seen in the red link above is included with the sale of this great artwork. ALL art on our website (including this one) are able to be purchased with VERY fair time payments, and trades are always considered towards "ANY" art on our website! Just send us an email to mikeburkey@aol.com and we can try to work something out.